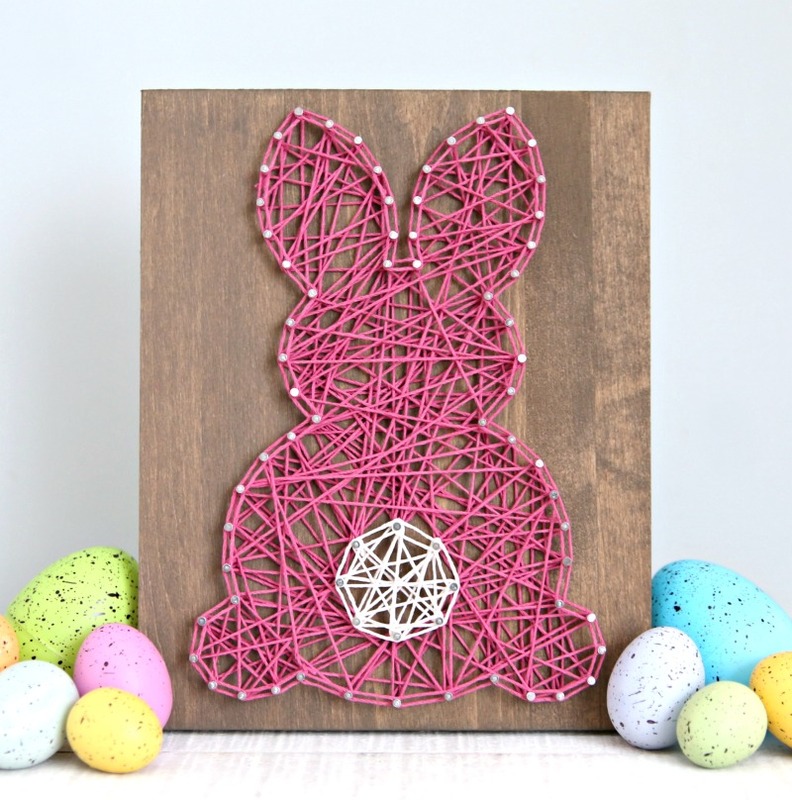 Make this adorable Easter Bunny String Art in no time with this easy tutorial. 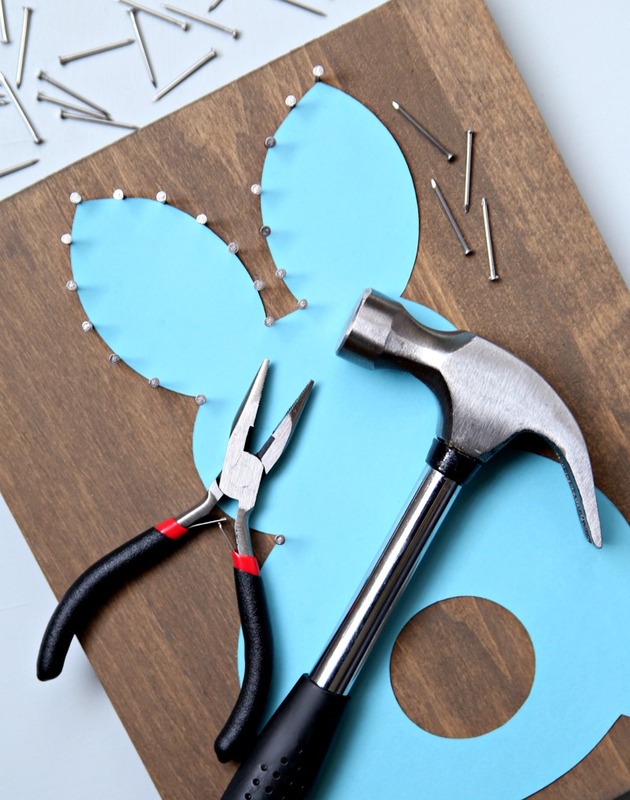 A fun way to add a little Easter Decor to your home. 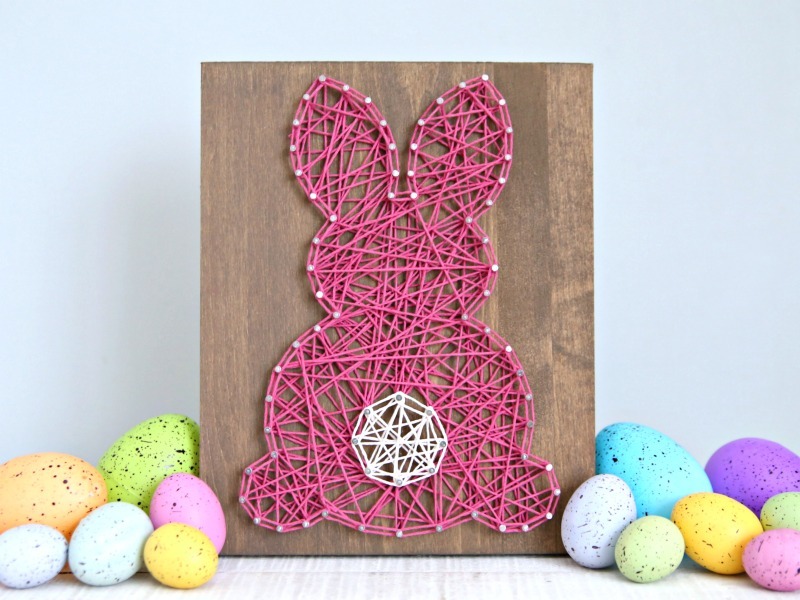 Have you made string art before? I’ve been wanting to try it for a few years and was a little nervous for some reason. But, I decided to give it a try and now I can officially check it off my crafting bucket list. 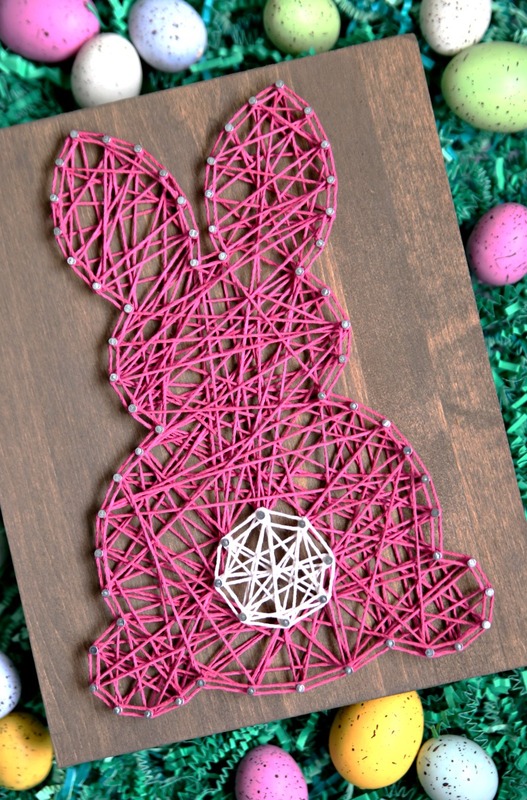 And, look at this adorable Easter Bunny String! Isn’t it fabulous? It turned out better than I thought it would and it was so much easier than I thought. The best part is it took less than two hours. The hardest part was waiting for the stain to dry because I was ready to start hammering. First, paint or stain the board. I was going to paint my board a light pink but then I decided to stain it and I’m so glad I did. I love how it makes the dark pink string pop. 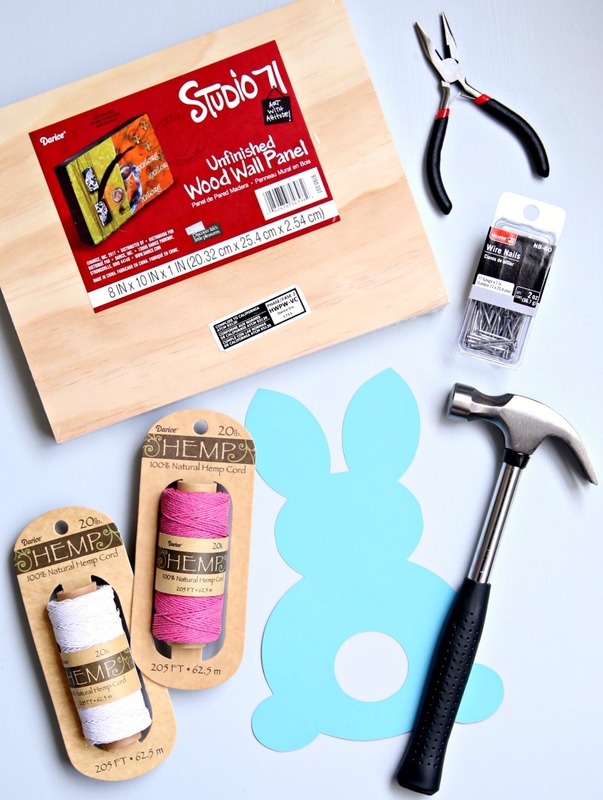 While the stain dries, print out the bunny template and cut out the bunny along with the bunny’s tail. After my bunny was filled in I wrapped the string around each nail around the out edge of the bunny and tied the string in a knot to finish it off. I also used white string to define the bunny’s tail. So what do you think? Not bad for my very first string art project. I will admit that you can’t mess this up. 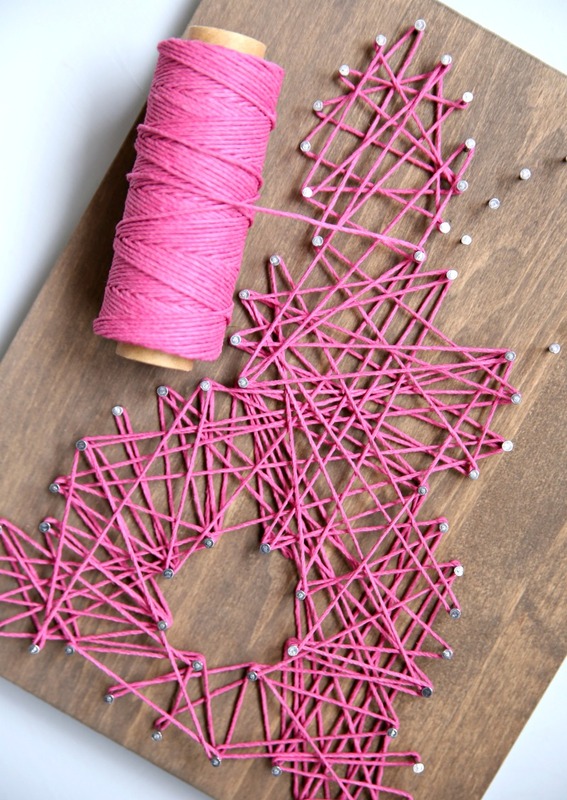 As long as you space out your nails evenly, you’re string art will look amazing. I will also confess that I was so nervous about starting this project because I thought for sure it would look horrible but I LOVE it. 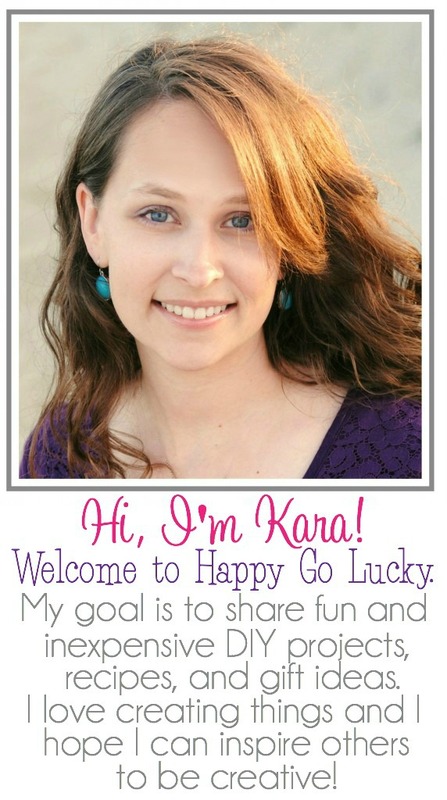 This project shows you that if I can do, you can do it!